A GROUP CALLING themselves the ‘IRA’ claimed responsibility for the suspicious devices sent to British Army recruitment centres last week according to UK police. The Metropolitan Police said in a statement today that they are aware of a claim of responsibility made over the packages that were found in seven separate UK centres. At least one of packages is said to have had a Republic of Ireland postmark. “The claim was received on Saturday, 15 February by a Northern Irish media outlet using a recognised codeword. The claim was allegedly made on behalf of the ‘IRA’. The public is urged to remain vigilant and report anything suspicious to the Anti-Terrorist Hotline 0800 789 321,” the Met Police said. The first envelope was delivered to an office in Chatham in Kent and a package was found in Reading on Tuesday before another was discovered on Wednesday in the army town of Aldershot. Four more were then found in Brighton, Canterbury, Oxford and Slough. A spokesperson for 10 Downing Street said that the seven suspect packages have been identified as “containing small, crude, but potentially viable devices bearing the hallmarks of Northern Ireland-related terrorism”. 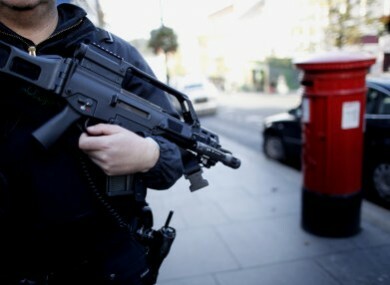 The devices were dealt with by the police and bomb disposal units. Email “The 'IRA' claims responsibility for devices sent to British Army recruitment centres”. Feedback on “The 'IRA' claims responsibility for devices sent to British Army recruitment centres”.